Stay warm with this Hand Knit Orchid Scarf, Hat and Mitts Set! The scarf is 59 inches long and 5 inches wide. The wristlets are approx. 10 ½ inches long with a 3 inch opening for the thumb, they are approx. 2 ½ inches wide but will stretch to fit around the arm approx. 8 ½ inches. The hat or beanie will stretch to fit around the head approx. 22 inches. Caron Simply Soft yarn used for this hand knit orchid scarf, hat, and mitts set. The color is orchid. The yarn is 100 % acrylic worsted weight. Dropping a stitch in the appropriate place gives this knit scarf, hat, and wristlet set an unusual appearance. 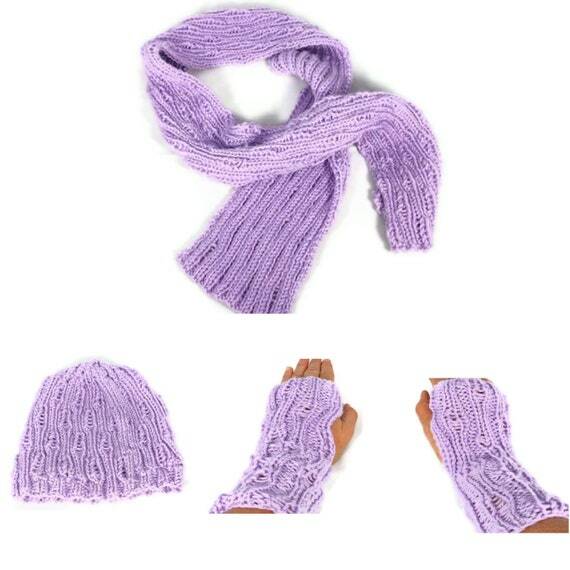 This gorgeous orchid hand knit scarf set with mittens and hat would be a lovely gift for someone! Such a pretty orchid color! The hand knit hat, scarf and mits are a lovely matching set! 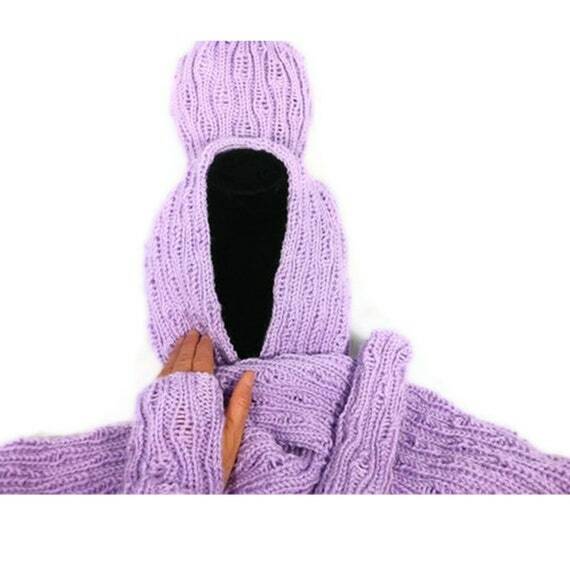 This is a gorgeous handknit set with hat and mittens, in a lovely orchid color! Such a luscious orchid purple color to this warm winter set! Shared. 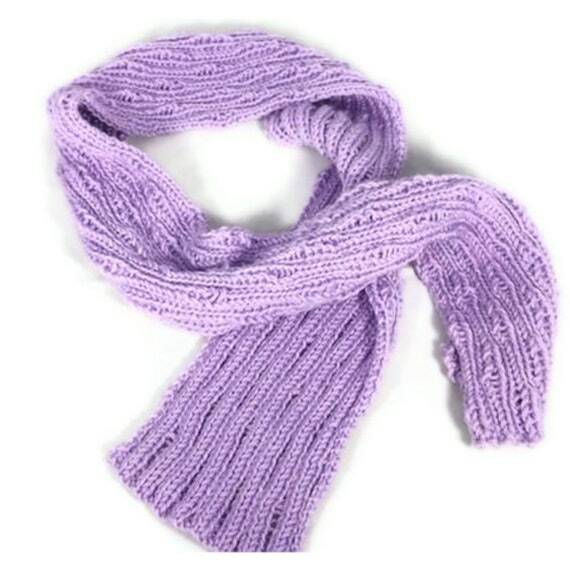 This handknit scarf, mitten and hat set is such a lively shade of orchid!